Every clothes dryer comes equipped with a lint filter—a small mesh filter that catches and accumulates lint and fluff from your drying load. The position of the lint filter varies with different models, but usually, it's in a prominent spot for easy access—one that you're not likely to overlook. There's a reason for that. You're more apt to it clear of lint. Not all filters are easy to remove or empty and some like the one featured, are not in the most convenient spot. This one is certainly hard to ignore since you must remove your dryer load over it. If you aren't sure where it is on your dryer, consult your appliance manual or inspect your dryer and locate it, because keeping it clean is most important. As your load dries, the lint that collects in the filter hampers the flow of air from the heated dryer. The problem is twofold. It makes your dryer work harder and less efficiently than necessary and it can also pose a fire risk if the lint builds up in or around the filter. Learning how to clean this will reduce the fire hazard risk and protect yourself and your family. How can cleaning the lint filter save you money? When your dryer works harder than necessary, it dries the load more slowly and longer drying times leads to increased energy costs. Consider the extra time needed in your schedule when the laundry chore takes longer to complete. Also, the more taxing the operation is on your dryer motor, the more risk of shortening its projected lifespan. The result can be more breakdowns and downtime. So that translates into wasted time and money. You should always start drying a load with a clean filter. The area under and around the filter should also be kept lint-free for safety reasons. It doesn't matter whether you chose to clean the filter before your next load or after the last - it's the routine that counts. And it's not too difficult to get used to. The problem is usually getting everyone in the household on board with consistent, dryer filter care. 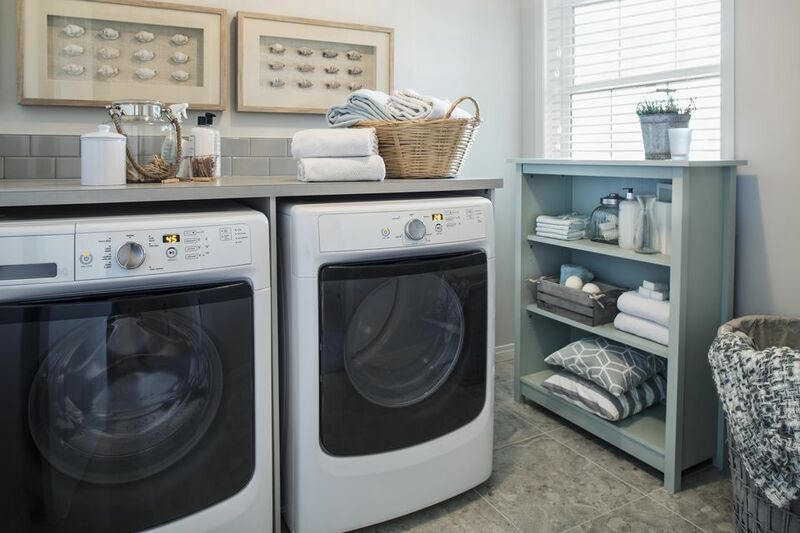 Keep a waste basket handy in the laundry area - that will make it more convenient to clean the filter after, or before each load goes into the dryer. Cleaning is easy. Just pass damp fingers across the lint and you can roll it off. I often take the used fabric-softener sheet from the dryer and use it to scoop up the lint and discard it. It's that simple. This is a small dryer maintenance step that will save energy, help your dryer work more efficiently and can also prevent a fire hazard. Shopping for a new dryer? Look for one with a conveniently-placed lint filter. One with a top of the dryer access is inconvenient and makes it difficult to keep your folding area (on top) free of lint and dirt.